This week’s dinner theme with Lady Luck was cajun! 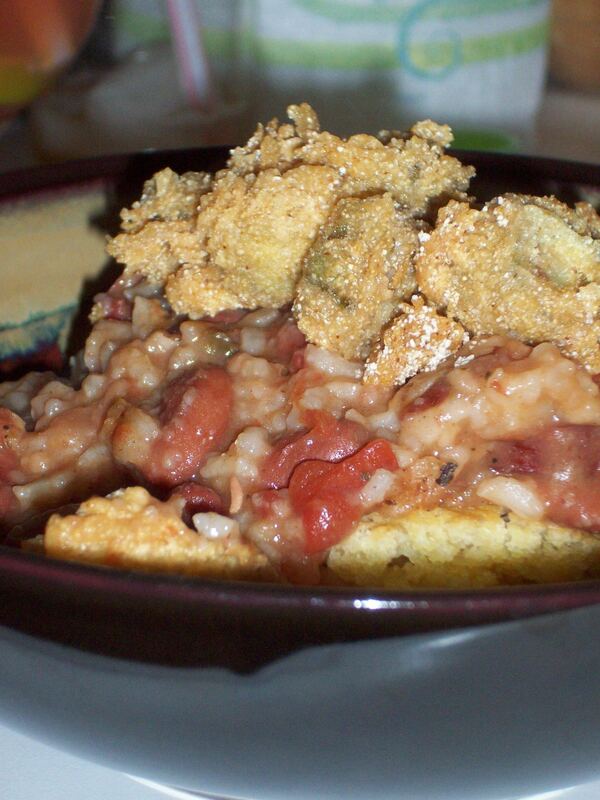 She made this AMAZING red beans and rice. It was just the correct balance of spicy and savory. She simmered it all day and included hamhocks and andouille sausage. It was so good! I brought the side dishes this week. The combination of the three…delicious! 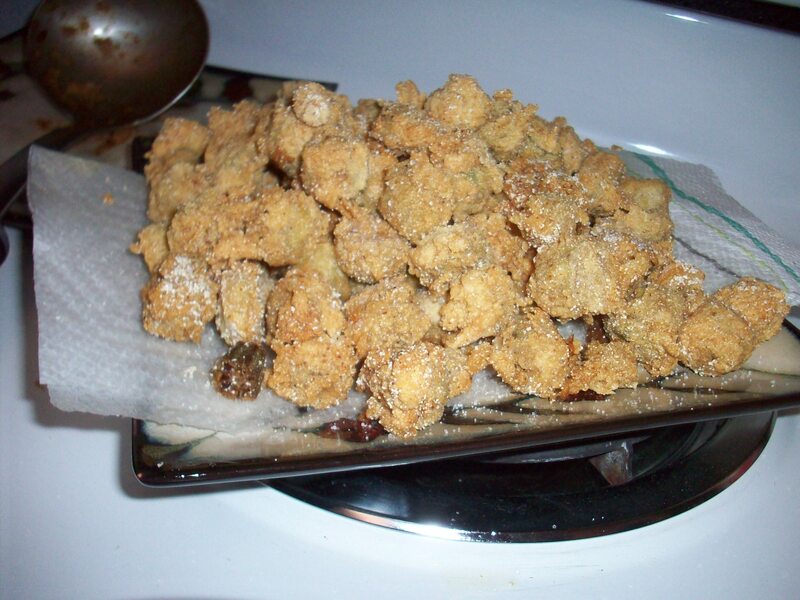 One of the two was fried okra. From what Lady Luck was saying, apparently I made a really good batter? I followed a recipe in a new cookbook (by the way, buying a new cookbook always makes me happy) that called for equal parts flour and cornmeal, and just a little bit of cayenne pepper. Then mix eggs and milk – two eggs to about a tablespoon of milk. Dip the sliced okra in the egg, then in the dry mixture, and then into the deep fryer it goes. Using okra that isn’t completely fresh makes it just a little bit sticky…and makes the batter stick better. By the way, I love the little fry daddy that I got for christmas! 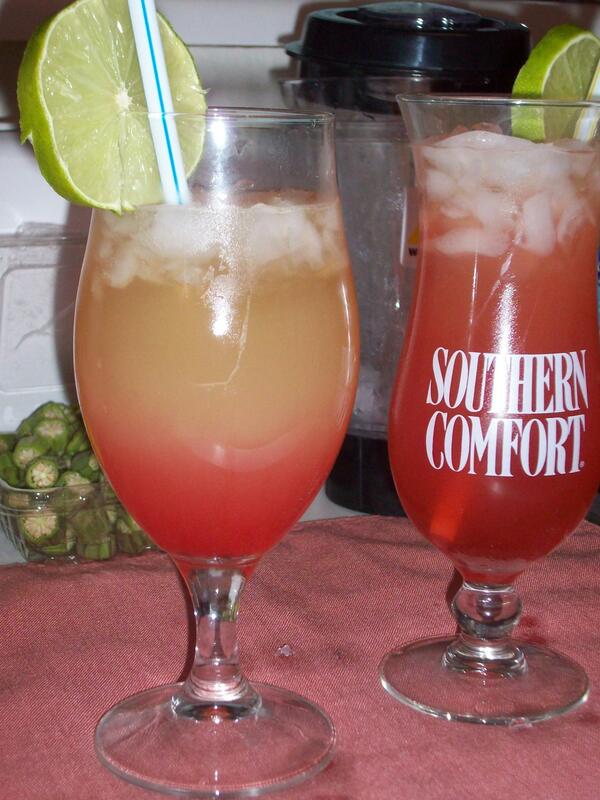 Our drink of the evening was a Hurricane – New Orleans style. Talk about a tasty yet potent drink! This drink has six shots of liquor in it, and then is topped with pineapple and grapefruit juice and a splash of grenadine. It makes it super pretty too! The little bit of lime juice that came from the garnish gives it just a little tang and then a little kick going down. Let me just say, one is PLENTY for this drink! And it’s best enjoyed through a straw. 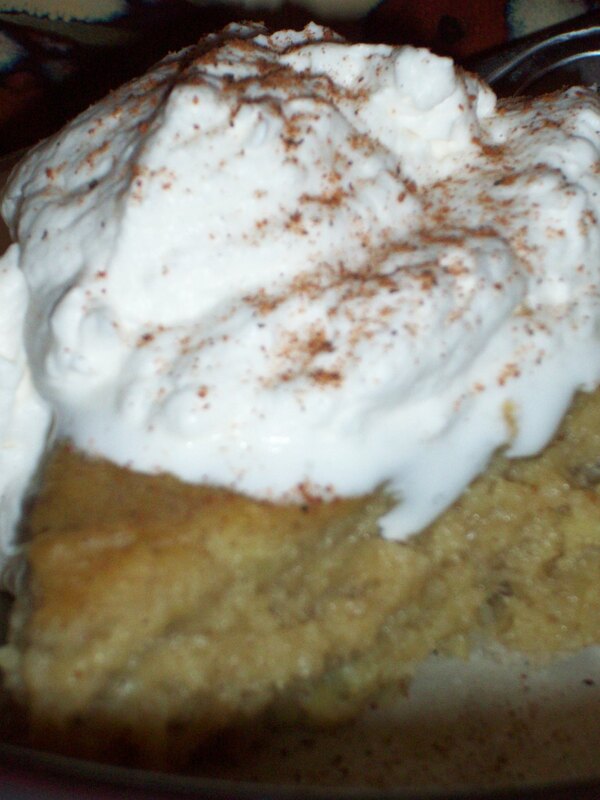 Last but not least…sweet potato pie for dessert! Lady Luck used white sweet potatoes instead of the orange ones, and this has all kinds of sweet stuff and nutmeg and such in it. Lady Luck even knows how to make a pie crust…from scratch…without a recipe. So jealous. 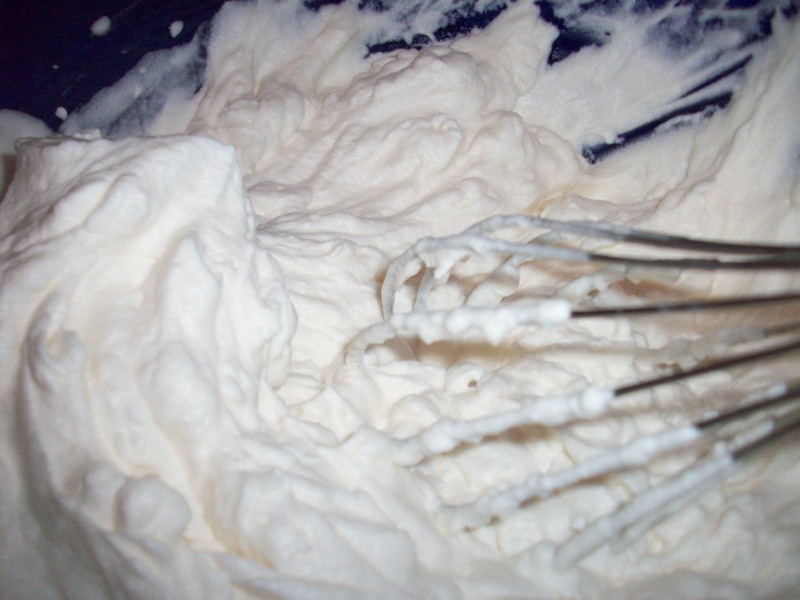 Oh yeah, and then homemade whipped cream, which is ridiculously good in it’s own right. Sorry cool whip! You’ve been replaced. To come next week? Sushi! So I posted on Facebook that I wanted to cook but didn’t know what to cook. This idea came from a very good friend of mine in response. I basically used small chicken breasts, coated them in an egg wash, then a seasoned flour mixture, and then in to chopped up pecans. I took a shake and bake technique by putting the pecans in a bag. The seasoning that I used for the flour is a mix of salt and pepper, cayenne, basil, oregano, paprika and just a bit of garlic powder. On the side, I made a garlic oil with some crushed garlic cloves and then sauteed asparagus in that oil. It didn’t change the flavor drastically like I expected, but it did give it just enough of a different taste to make it uber tasty. For dessert, I made mini-muffin sized brownies. The recipe called for using Hershey’s cocoa powder, but I didn’t have any of that, so I used hot cocoa mix instead. I think it made them taste really good, but it also affected their cook time. It took almost triple the cook time! And of course, because we all know that I can’t just keep a recipe as-is, I added white chocolate chips as well. When I served it up, I made it a la mode, and I put some sliced strawberries on top. 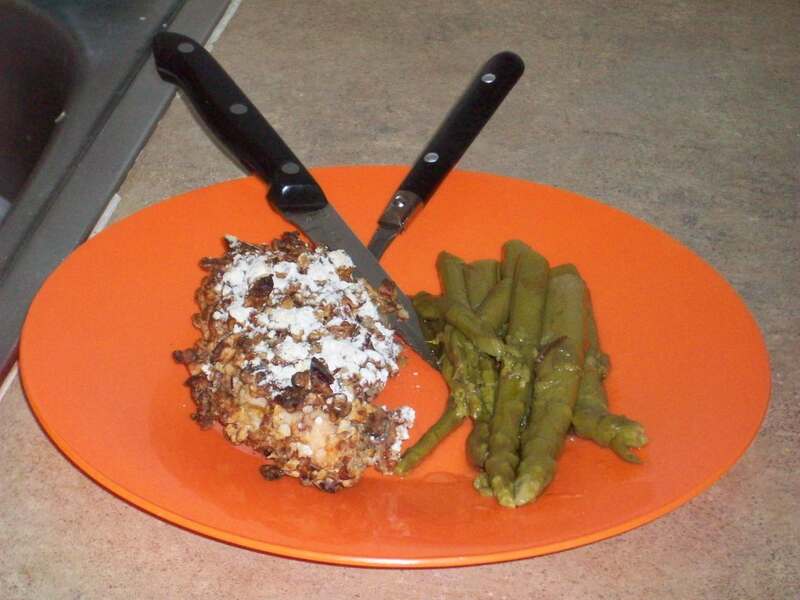 The pecan chicken and aspargus. I thought adding some more of the flour mixture would make it crunchier, but it didn't do anything.